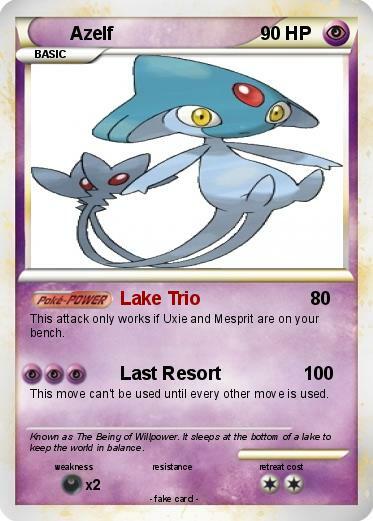 This attack only works if Uxie and Mesprit are on your bench. This move can't be used until every other move is used. Comments : Known as The Being of Willpower. It sleeps at the bottom of a lake to keep the world in balance.